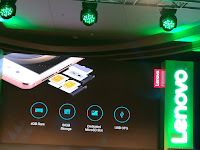 Home atmos deca core dolby flagship killer note Lenovo lenovo k8 note splash resistant surround sound Lenovo K8 Note - First DecaCore - Dual Cam & Splash Resistant Flagship "Killer Note"
Lenovo K8 Note - First DecaCore - Dual Cam & Splash Resistant Flagship "Killer Note"
The Power Of Deca Cores : Powering the K8 Note is a 10-core processor that is designed for those seeking high-performance with no short cuts. A 64-bit processor, it comes with four power efficient cores clocked at up to 1.4 GHz, four powerful cores clocked at up to 1.85 GHz, and two high performance cores clocked at up to 2.3 GHz. 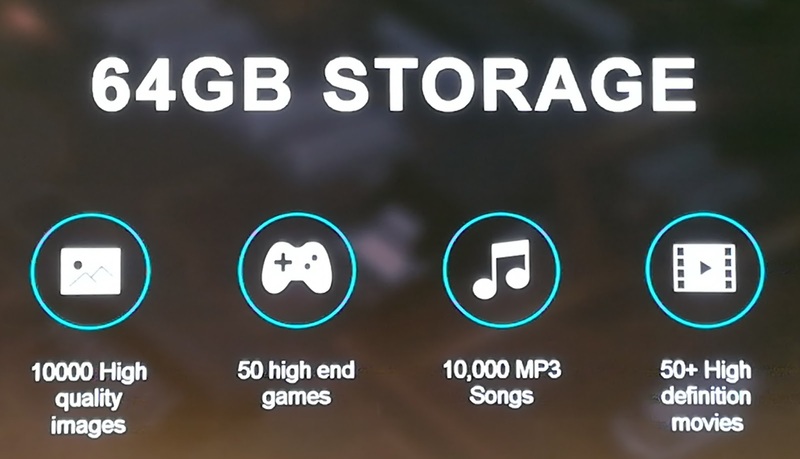 Also on board is an ARM Mali T-880 MP4 graphics processing unit. It is perfected to eliminate lags. Big Sight & Big Sound : The K8 Note comes with a bright 13.97cm (5.5”) full HD display protected by Gorilla Glass and with sunlight visibility, it gets a whole new dimension with TheaterMax and Dolby Atmos. 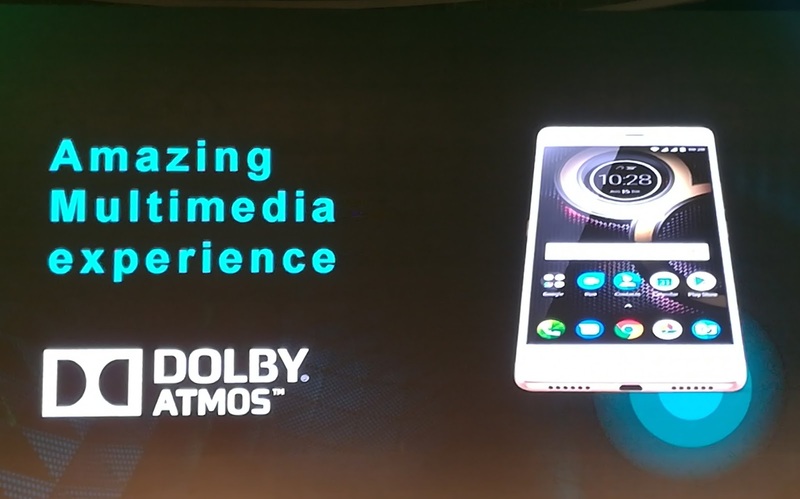 TheaterMax1 allows you to view all the content on your phone on a much larger virtual screen once you put on a VR headset and Dolby Atmos ensures that you get high quality sound from your device - whether it is the thump of a drum or the buzzing of a bee in a forest. 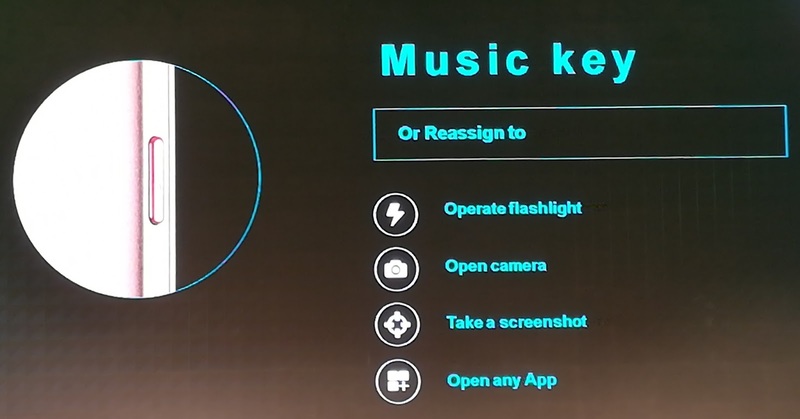 The phone even has a dedicated music key to play/pause music and switch tracks. 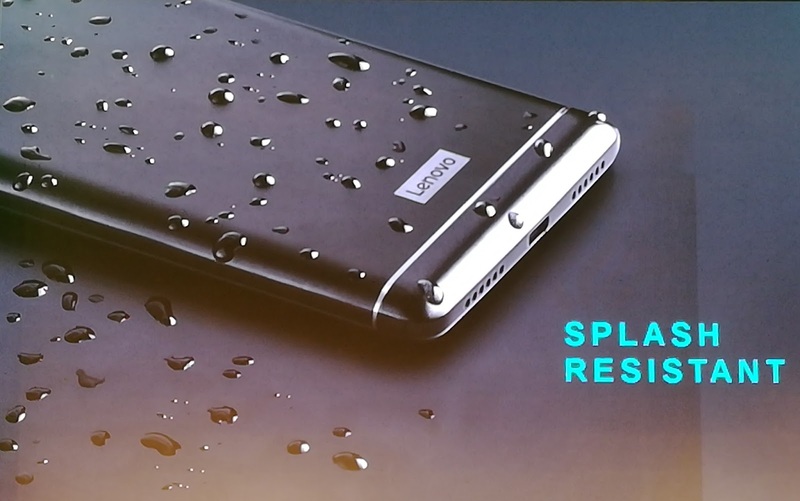 Splash Resistant : A splash of water will not kill the Killer Note. It comes with an advanced water repellent coating that protects it from spills, splashed or getting caught in the rain! 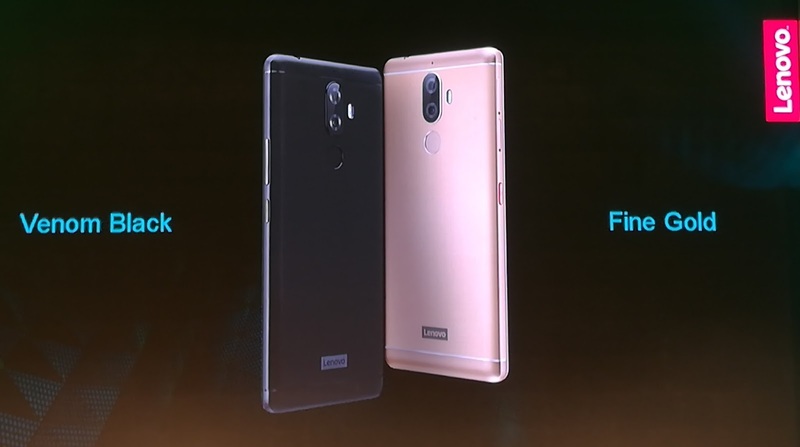 The Magic Of Dual Cameras & A Great Selfie Camera : The most outstanding hardware feature of the K8 Note is its dual camera set-up, which comprises of a 13.0-megapixel primary and 5.0-megapixel secondary depth sensor for great quality pictures and enhanced depth of field. These two work in seamless combination allowing users to take photographs with amazing depth of field (up to virtual DSLR-equivalent F/1.2) and bokeh, making it one of the best cameras in its class. Samples of images taken by a select group of photographers using the new Killer Note can be seen at @KilerShots/ . 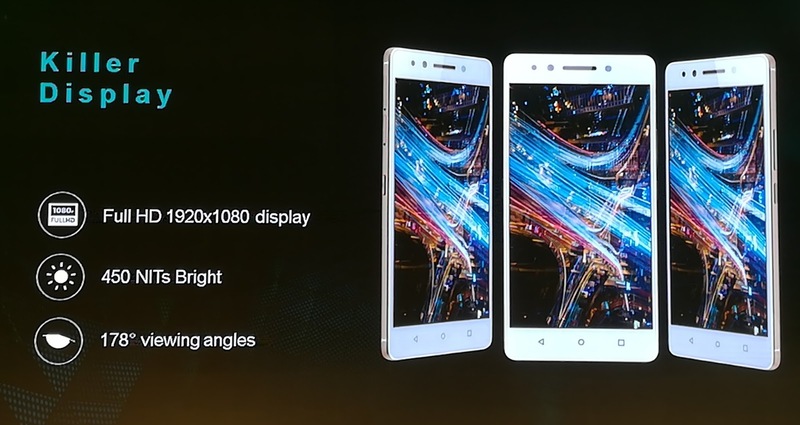 And for those who love snapping themselves, there is a 13.0-megapixel selfie camera with a full light LED flash. 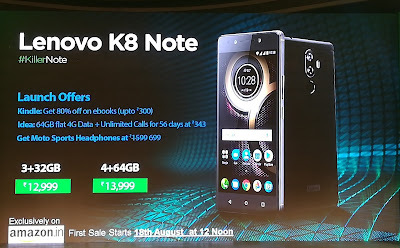 An Ample Of Memory & Long Lastic Battery : The K8 Note comes with an option of 4GB or 3GB RAM along with 64GB or 32GB of storage*. 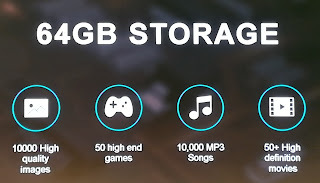 And to ensure that users are never short on space, the device comes with a dedicated microSD slot that supports up to 128 GB, so that you do not have to sacrifice a SIM card slot for storing your information. 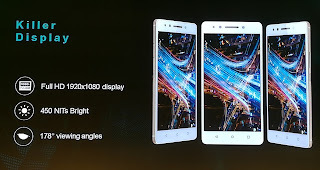 Battery life is not an issue either - there is a 4000 mAh battery under the hood with a 15W Turbo Charger(™). 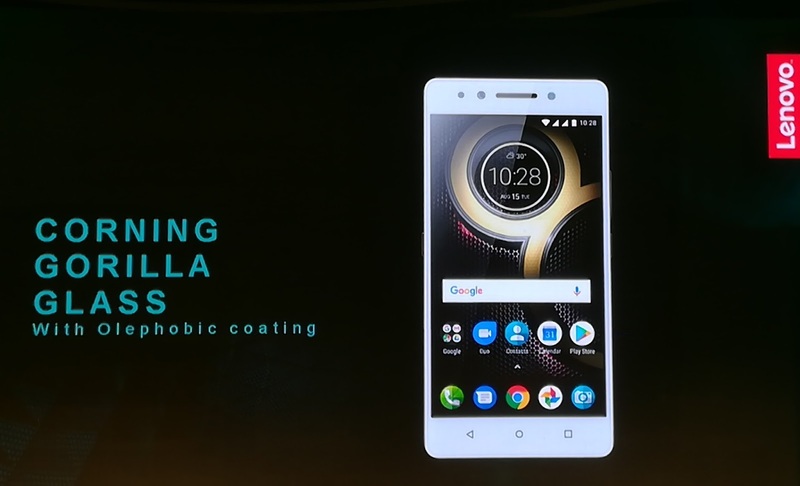 With this, consumers will not be short of battery juice or memory space on the K8 Note. 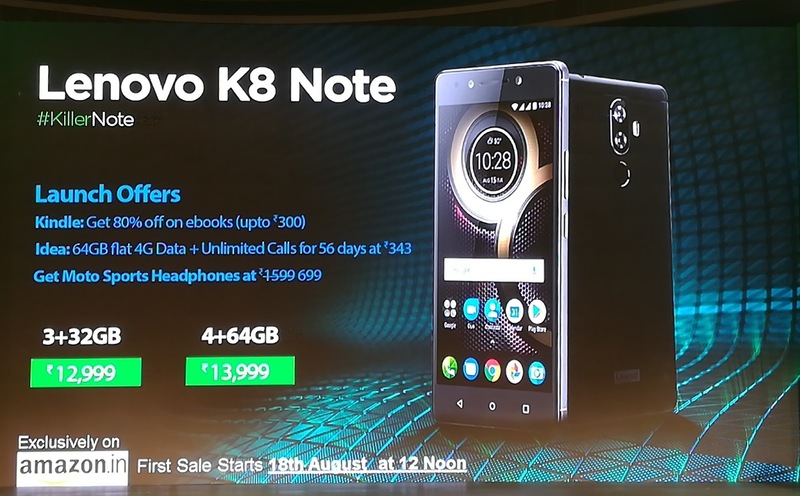 Pricing & Availability : The Lenovo K8 Note will be available starting INR 12,999/- for 3GB+32 GB variant and INR 13999/- for 4GB+64 GB variant. Sale opens 18th August, 12 noon, exclusively on amazon.in. Visit amazon.in to get sale notifications. 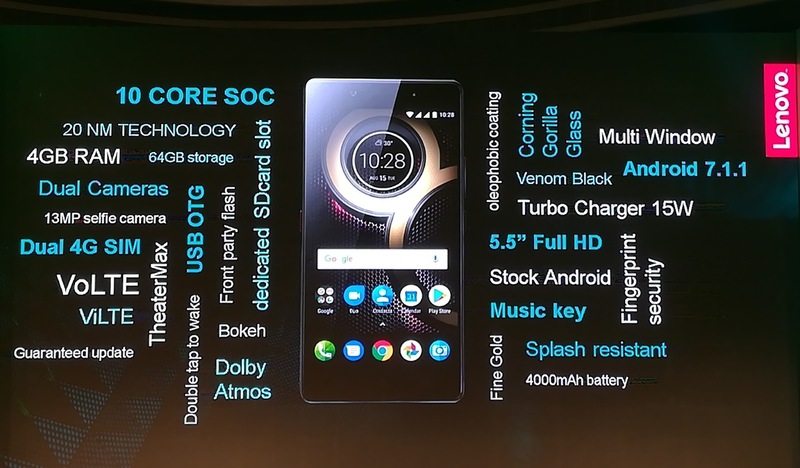 Lenovo (HKSE: 992) (ADR: LNVGY) is a $46 billion global Fortune 500 company and a leader in providing innovative consumer, commercial, and enterprise technology. Our portfolio of high-quality, secure products and services covers PCs (including the legendary Think and multimode YOGA brands), workstations, servers, storage, smart TVs and a family of mobile products like smartphones (including the Motorola brand), tablets and apps. Join us on LinkedIn, follow us on Facebook, Instagram or Twitter or visit us at www.lenovo.com.